Personalized Room Signs. Select your background color, add lettering and clipart. Lettered on one side .04 Aluminum Signs. 6 inches tall x 24 or 36 inches wide. Use our online design tool to select your background color, add lettering and clipart. 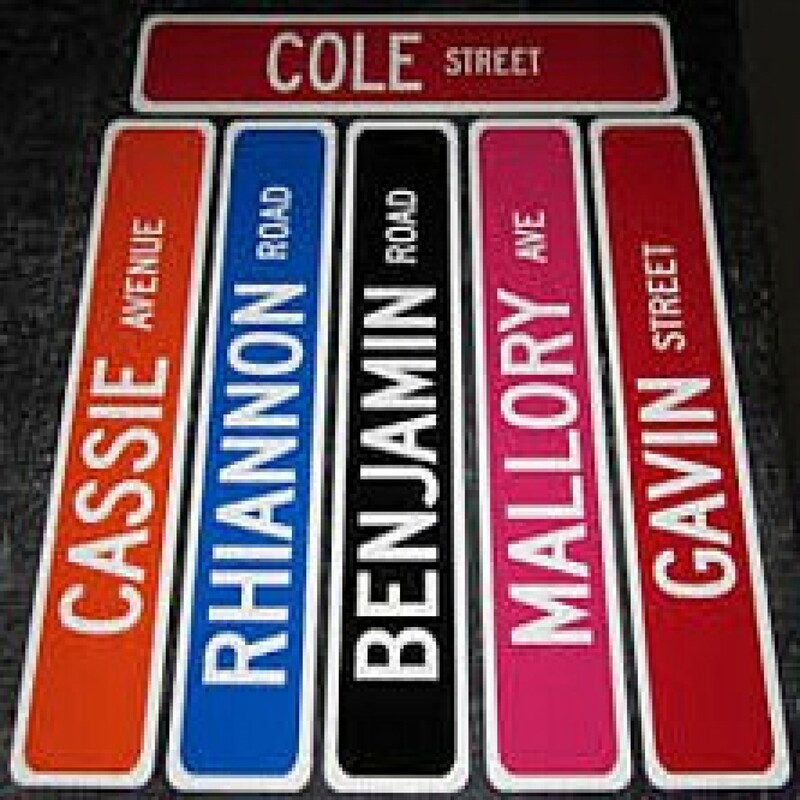 Personalize your signs to match your room or personality! It's Fun and easy! All orders are shipped the next business day!